Drawing on his experience as editor of "Troilus" for The Riverside Chaucer, Barney's work is the product of vast but tactfully concealed erudition. These essays invoke rigorous logic, judicious discrimination, good sense, and the exhilaration of discovery. Stephen A. Barney is Professor Emeritus of English at the University of California, Irvine. He is the author of Studies in 'Troilus': ChaucerÆs Text, Meter, and Diction, Allegories in History, Allegories of Love and Word Hoard: An Introduction to the Old English Vocabulary. 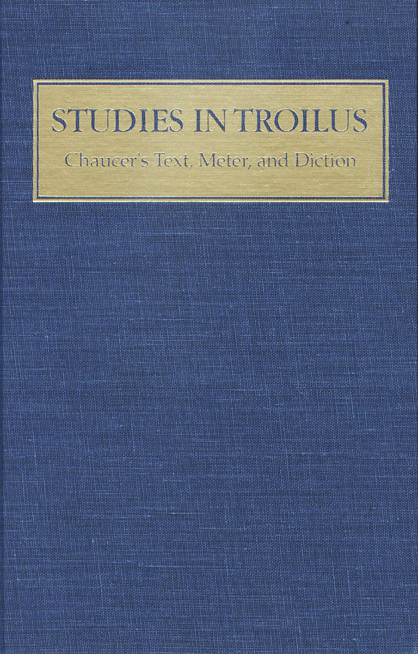 He is the editor of ChaucerÆs 'Troilus': Essays in Criticism and Annotation and Its Texts. His edited text of Troilus and Criseyde appears in The Riverside Chaucer.